What went wrong? How did this happen? She did everything asked of her and then some. She exceeded their expectations, was liked by all staff members, and was received raises and bonuses year after year. For those of you who can relate to Sidney, getting a lay-off notice is an upsetting experience whether it’s expected or not. Much like Sidney, you may go through emotional phases, such as shock, denial, anger, disappointment and regret. But, after the shock wears off, the next question creeps in… “now what?” What do you do after getting the pink slip? If you are a victim of today’s downsizing, restructuring, or budget cuts, you are not alone. Lay-offs are more and more common these days and don’t carry the bad stigma of years past. Employers have become accustomed to acting quickly in an attempt to get a leg up on their turmoil’s in our ever changing economy. So, don’t be ashamed, you do not have a scarlet lay-off letter on your forehead. You may receive a severance package, accept it gracefully but don’t feel pressured to sign on the dotted line right away. It’s ok to request time to look it over and consult with your family and/or legal advisors before agreeing to the terms. It is very important to review all the contents carefully since your compensation, vacation/sick time, bonuses, and benefits may be at stake. If you feel you are being swindled out of something, take the opportunity to research your company hand book and ask questions. Don’t be afraid to put your negotiation skills to work, as this is your chance to state your case based on achievements, tenure, and replacement time in today’s tough market. Typical severance pay is around two to three weeks of work and varies based on term of employment and base salary. Start by viewing the severance package as a salary continuation…not a means to an end, but the start of a new beginning. Once you have allowed yourself to process the emotional rollercoaster that comes with a lay off notice, begin your job search. There’s no better medicine for a bruised and beaten ego than to jump back into the saddle again! Contact your friends, colleagues, former co-workers, vendors and business networks. Begin to put together a plan of action by researching the company’s you are interested in working for. Set aside some time to give your resume a fresh update and begin to practice your interviewing skills if you haven’t gone on one in a long time. If you need assistance with your resume or interviewing, you can receive free help at your local Workforce Solutions office. Each office offers free classes that cover everything from making a plan for your job search, resume building and interviewing techniques. 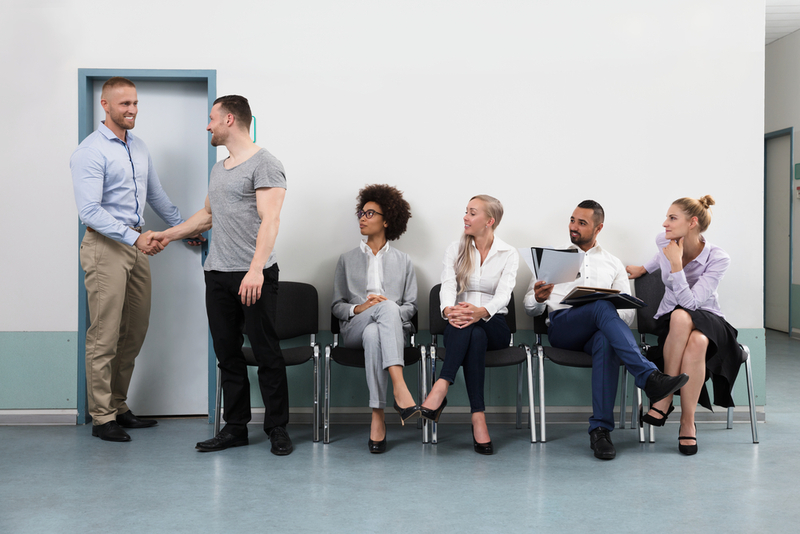 It’s courteous to inform your clients of your separation from the company and it can also open the door for a significant source of job leads. Exhaust your resources and let your fingers do the walking across the internet. Register online at www.workintexas.com and take advantage of the largest job bank in Texas. If you need one-on-one assistance, please visit a Workforce Solutions office in your area and speak to an Employment Counselor.